Strictly speaking, this isn't baking. It doesn't go in the oven at any point, so it doesn't actually bake. 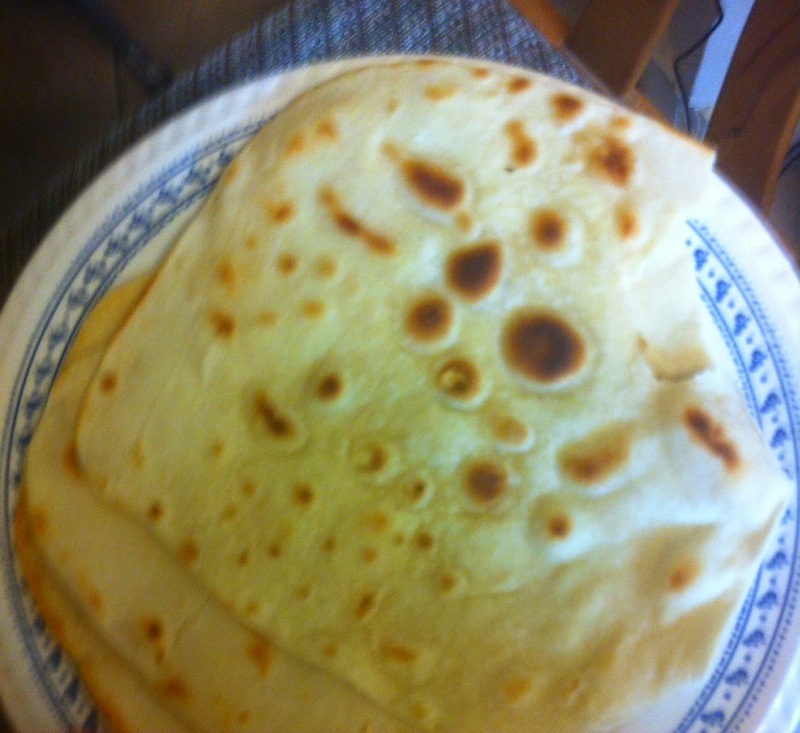 But it is a bread, they do flatbreads on the Great British Bake Off and it makes the perfect accompaniment to a curry. So there. This is a quick, easy recipe that produces a lovely, fluffy bread that is just begging to be used to scoop up hot, fragrant dal or any other tasty Indian dish. You need so few ingredients and they are all really things that anyone who bakes on occasion should have anyway. This recipe makes six. 1. Sift the flour and salt into a bowl and sprinkle over the oil. 2. Add the water a little at a time, stirring with your hands as you do. 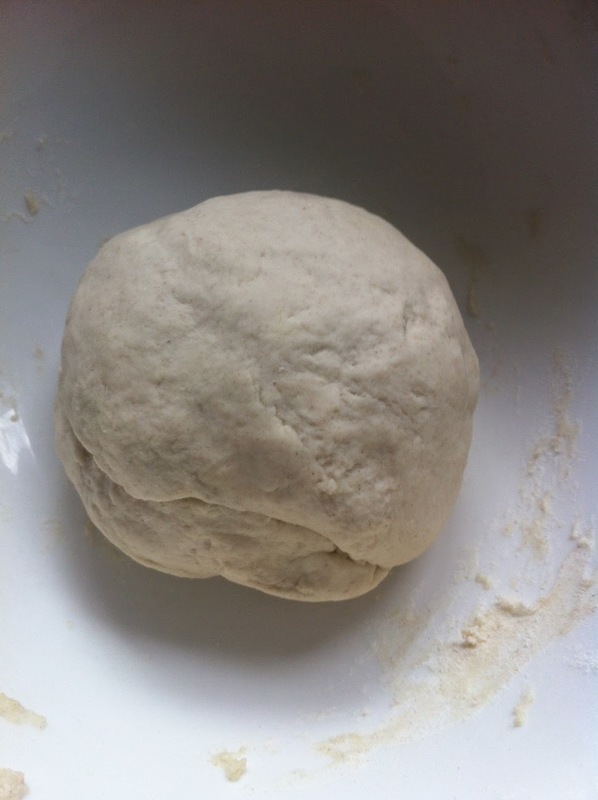 You want a soft dough that is not too sticky, so you may not need to use all the water. 4. You will knead to need (haha, get it?) 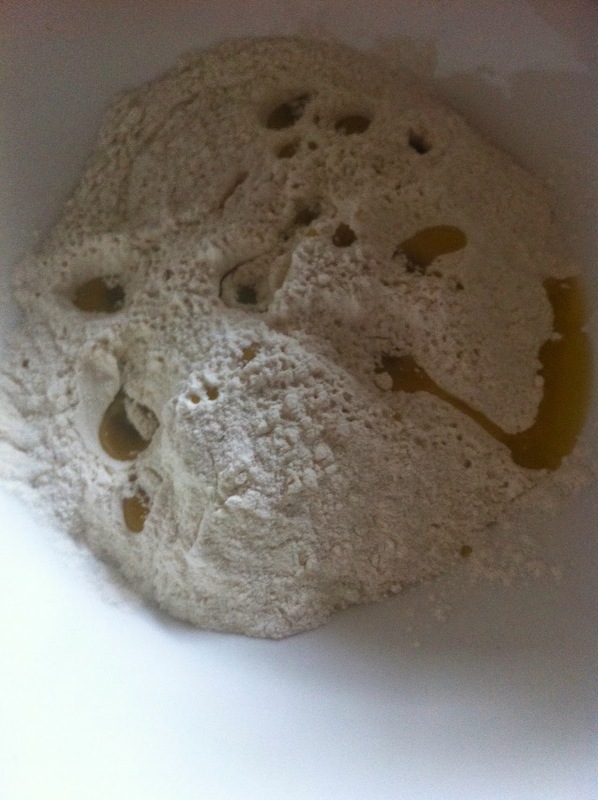 for about ten minutes, until the dough is soft, stretchy and easily malleable. When you stretch it you should be able to see long strands developing - these are the gluten strands. When the dough reaches this stage cover it and leave to rest for 30 minutes. You can have a rest too if you like. 5. 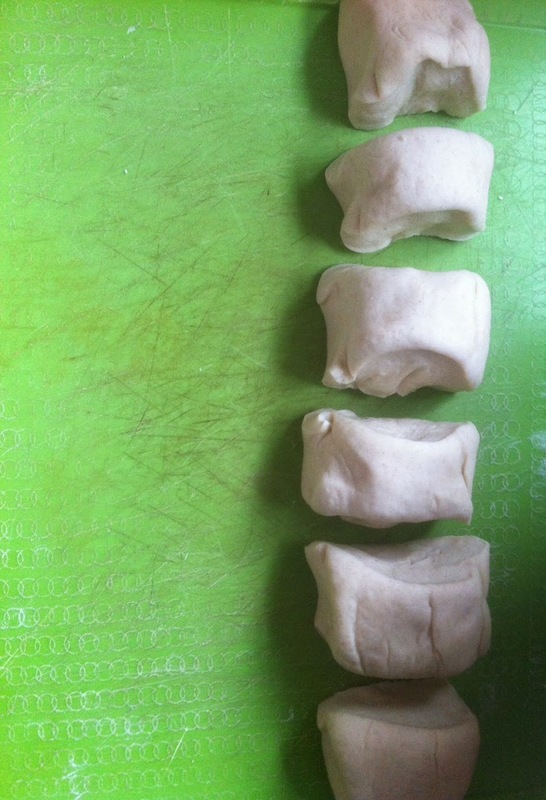 Divide the dough into six equal pieces. 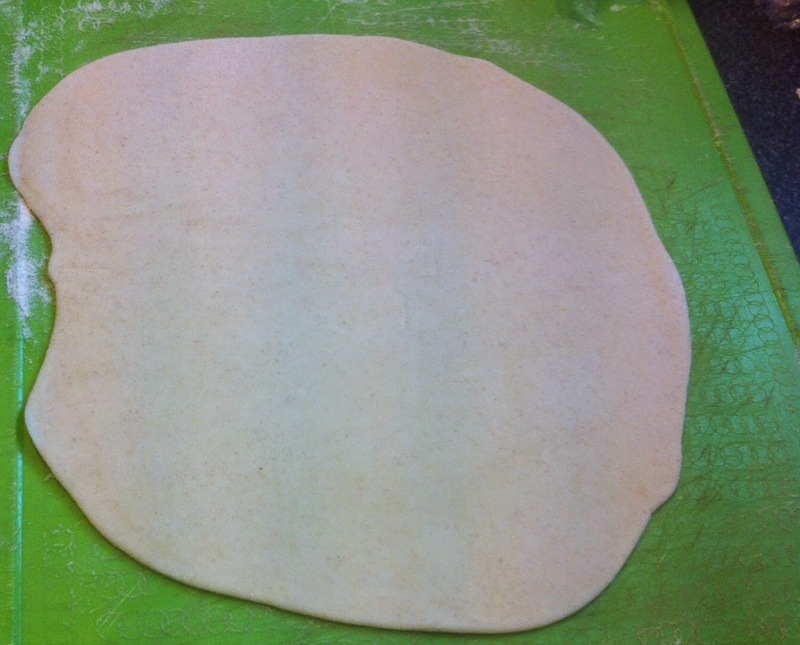 Roll a piece out until it is about the size of a small plate and the thickness of a 20 pence piece. Brush both sides with oil and fold into thirds, then into thirds again. Set aside and repeat with other 5 pieces. Rest for 10 minutes. 6. Heat a little oil in a large pan and roll out the rotis to the same size and thickness as before. Fry each one on each side for a couple of minutes - when the underside is speckled brown it's ready to be flipped. You may need to re-oil the pan in between rotis. 7. Serve with your favourite homemade curry or dal. And probably a beer. 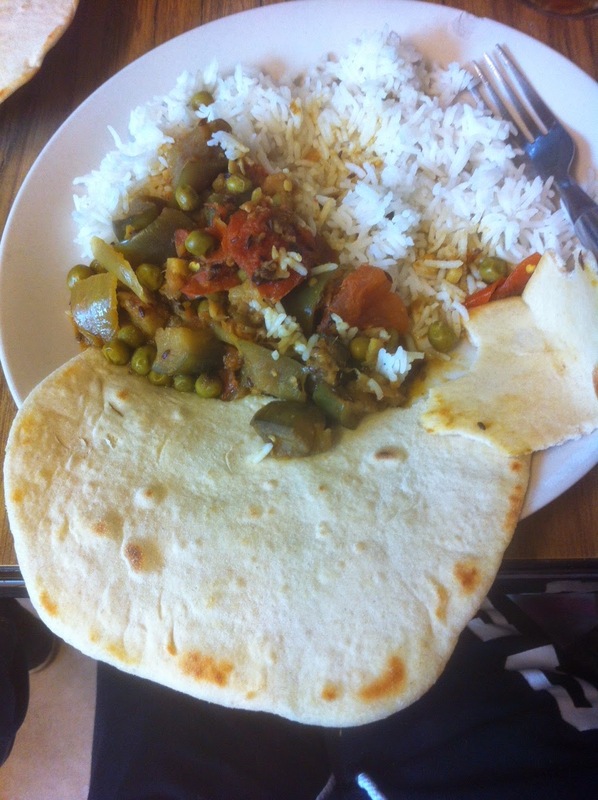 You may be able to see that my friend Alice, who I was cooking for, took a bite out of her roti before I'd taken a picture of it or even given her any curry. That's how good they are. And that's it. Tasty, quick bread without all that faffing around waiting for it to rise. I'm not even convinced the second rest is necessary so I would leave that out if I was in a hurry.